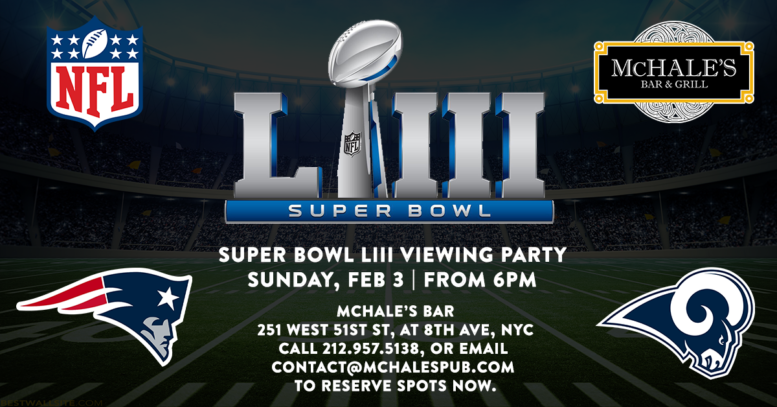 Join us on Sunday, February 3 from 6pm for live coverage of Super Bowl LIII here at McHale’s Bar in NYC. New England Patriots v Los Angeles Rams – kickoff 6:30pm. Let us be your house party host and save the hassle! Drinks specials throughout the day and game. 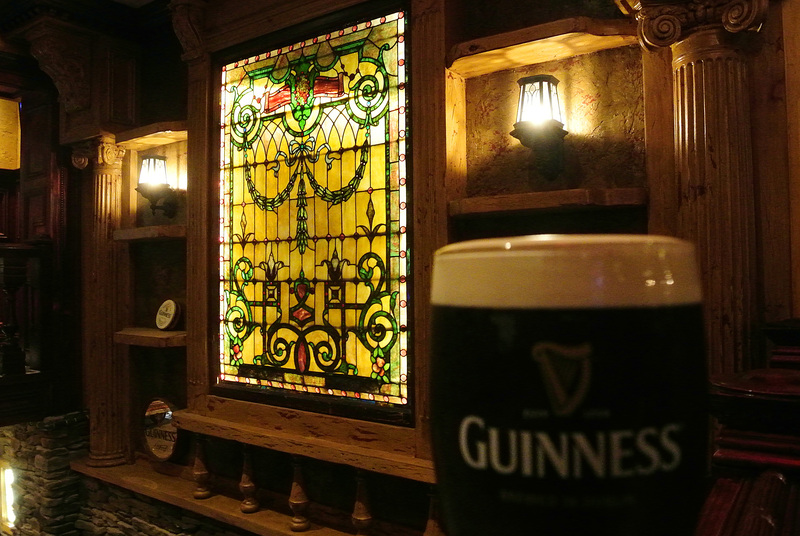 Call 212.957.5138 or email contact@mchalespub.com for group reservations!